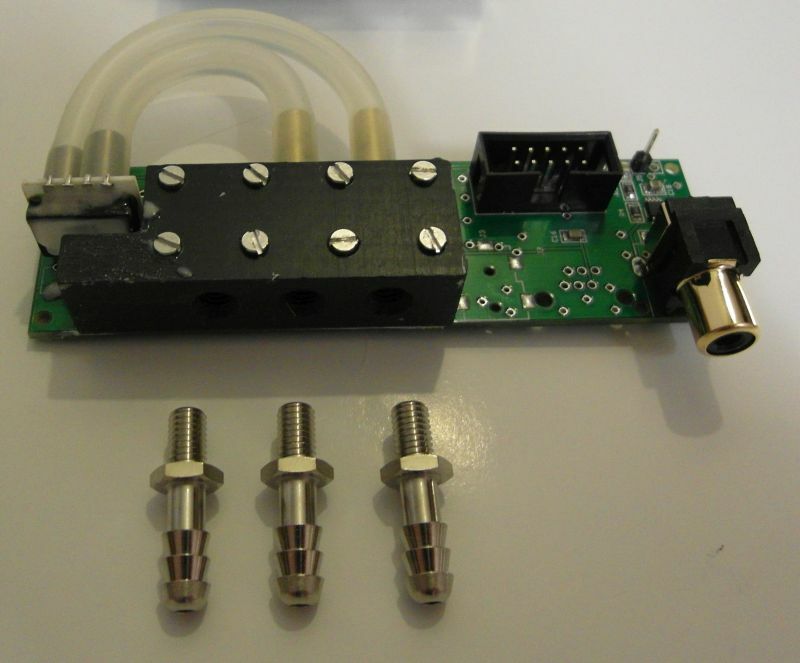 Therefore we designed a POM-Block to be mounted on the Sensorboard-PCB, which has some threads for the three pressure barbs to connect to the airplane pressure system. Two chambers encapsulate the MS5611-Sensors for altitude and vario, and one hole goes through. Two brass tubes at the backside of the POM-Block are connected to the differential pressure sensor for airspeed via two short silicone hoses. The Block is made from some 1/2“ sheet of black POM, which has excellent machining characteristics and durability. Prepare the basic part as shown in the DXF, ream the 2.9mm holes for a slight press fit of 3mm brass tubes and cut M5 threads for the barbed tube connectors. Before you start sealing the POM-Block, electrical testing of the Sensorboard is recommended. Press fit two short pieces (~15mm) of 3mm brass tube, seal the part against the PCB and attach it with 8pcs M2x16 screws. Sikaflex PUR based sealant works fine, don´t use silicone based products, it might damage the sensors. The sensorboard is mounted to the housing backplate by the barbed tube connectors, don´t forget to apply some sealant in the threads during assembly. 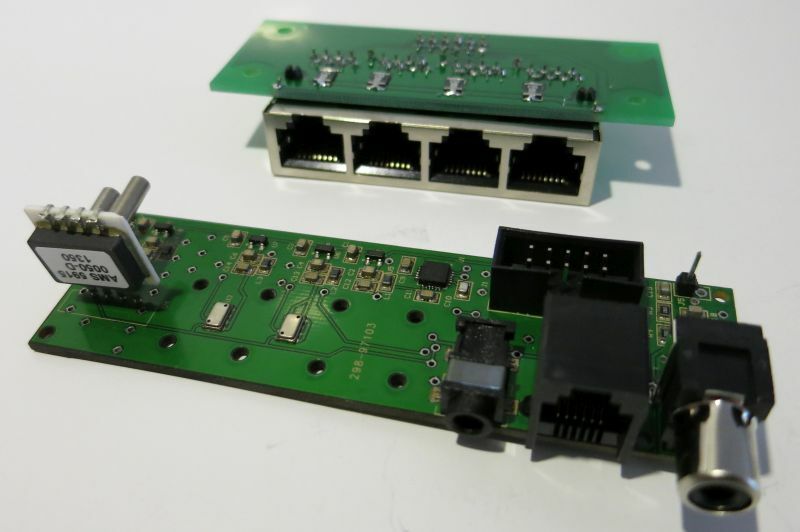 Two further rectangular blocks are needed to mount the RJ45-Board to the backplate of the OpenVario, but their dimensions are not really critical.